Micro turbines may be able to undercut this in some instances but the different size ranges to which they apply makes it rare that they would be viable alternatives. Fuel cells are currently the most expensive of the six technologies listed. However their cost should come down by the end of the first decade of the twenty-first century. Table 5.2 also includes typical operation and maintenance (O&M) costs. 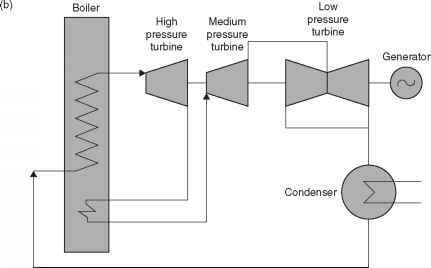 Again gas turbines and micro turbines offer the lowest-cost option but fuel cells, particularly high-temperature fuel cells should be extremely competitive when they finally reach the market. Generation costs will depend on the fuel employed. The typical cost of electricity from a 100-kW CHP plant in the USA is $0.088/kWh while the cost of electricity from a 5-MW plant is $0.053/kWh.7 In both cases these costs were competitive with commercial electricity rates in around 40% of the US market. Viewing over a wider perspective, CHP as part of a distributed generation strategy offers additional economic gains. With distributed generation, transmission and distribution costs are lower, losses are reduced and the need for additional transmission and distribution capacity is reduced. Power system stability is improved and power dispatching becomes simpler. Globally the gains are significant too. CHP means reduced fuel consumption which means reduced atmospheric emissions. While the costs of the latter as a result of health and environmental effects have been difficult to quantify, they are undoubtedly significant.